What workplace issue keeps the top CIO’s up at night? Of all the workplace issues keeping CIO’s up at night, the most worrisome for IT executives is security and downtime associated with IoT-based DDoS attacks, according to a December 2015 study of 276 U.S. CIO’s and executive IT professionals commissioned by Sungard Availability Services (Sungard AS). The recent cybersecurity attack using connected devices, or the Internet of Things (IoT), was serious, unusual and even historic. It also is a taste of the disruptions to come, say security experts. The attack, which affected a number of major websites, reportedly used internet-enabled camera’s and multi-function printers (MFPs) as a platform for a Distributed Denial of Service (DDoS) attack. These websites included large Infrastructure and Software as a Service providers Amazon, Netflix & Microsoft including Social Media sites Facebook & Twitter. The attackers exploited manufacturer-set passwords that hadn’t been reset by users. Thousands of new devices are connected to the Internet daily. Some of these devices may be running low-power processors incapable of supporting sophisticated security. Embedded devices continue to operate for years after their last software patch. Today, any multi-function printer (MFP) firm with a product or a service is potentially an IoT vendor. 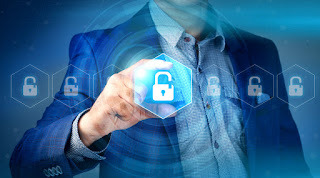 IoT security poses unusual risks as it is one thing to steal usernames and passwords and take intellectual property or money, but it is an entirely different matter to gain access to systems that can physically disrupt and interfere with people directly. Any connected device such as a printer with cardkey internet access, can be hacked. Customers recognize Xerox as a trusted provider of secure solutions with a wide array of security capabilities. A majority of the Xerox MFP line include features to protect the printer from unauthorized remote access and protect the confidentiality of “data in motion (1),” specifically customer jobs which are transmitted to the printer over the network. Many businesses recognize a need to bolster information security outside their devices from a network level. Through collaboration with Cisco Systems, a worldwide leader in network security, addresses this challenge. Powered by Cisco’s Identity Services Engine (ISE), Cisco TrustSec is an intelligent solution providing more secure access to a client’s network resources while supporting BYOD work practices. With this policy control platform in place, companies can reliably enforce compliance, enhance infrastructure security and simplify service operations. TrustSec ISE is a thoroughly tested and proven system that enables clients to easily deal with the increasing proliferation of network endpoints – including MFPs, printers, tablets and webcams – and deploy security policies more quickly. Cisco ISE Profiling Services provides dynamic detection and classification of endpoints connected to the network. Xerox devices coupled with Cisco ISE, deliver comprehensive security by integrating Xerox devices within a client’s network infrastructure. It’s my belief that together they dramatically reduce cost of ownership while delivering world-class monitoring and troubleshooting features designed to streamline operations for your customer service, help desk and support teams. Finally, all technology leaders need a relentless focus on today’s operations and a business strategy with a strong view of changing external trends ahead. CIOs must be aware of issues that affect their security, their organizations’ availability and their ability to attract and retain strong talent in order to be best prepared for what lies ahead and to help them be more competitive.